We travel a lot here at EzyDog and most of the time we like to bring our dogs with us on our adventures. Sadly, though, sometimes bringing our fuzzy friends along isn’t an option—because of a doggy health issue, a business trip, or simply a trip that wouldn’t be very dog friendly. 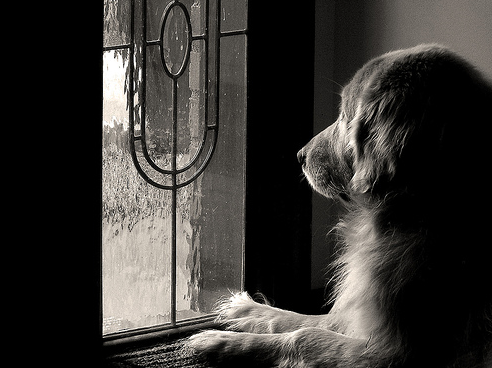 So, what do you do if you have to leave man’s best friend behind? While kennels can be a good option, our first choice is usually a trusted dogsitter who knows (and loves) our dogs well already. But getting a dog ready for the dog sitter involves more than just packing up the essentials. Here are three trusted tips to make sure your dog and the dog sitter both enjoy their stay! 1. Get familiar with the environment. If the dogsitter will be taking care of your dog at their house, visiting several times will help your dog get familiar and comfy with the new smells, sights, and sounds. Having you there will make it an easier transition for when you aren’t there and this can be a great way for your dog to get acquainted with his sitter. Make sure to bring a good dog leash and a sturdy dog harness along so your furry friend doesn’t escape in unfamiliar surroundings. 2. Keep routine—or increase it. If your dog is used to a half hour walk every morning, make sure the sitter can provide at least that amount of exercise. Better yet? Increasing the amount of exercise your dog gets while you’re away can keep them calmer and more relaxed. Make sure your sitter knows how much exercise your dog is used to and that they should increase exercise time whenever possible. 3. Leave a tip sheet. Just like with a babysitter, there are contact numbers and information you should always prepare ahead of time for your dog sitter. Make sure to give them your vet’s phone number, the location of the nearest 24-hour emergency clinic, any medical information they might need for your dog, and an overview of your dog’s regular routine. Can your pup have people food? How often should the sitter feed him—and how much food per meal? Does your pup get car sickness or have any allergies? What might your dog get into (trash, shoes) if it’s left out? Details, no matter how small, will help your sitter make your dog feel at home. How do you prepare your pooch for a stay with the dog sitter? Let us know in the comments!